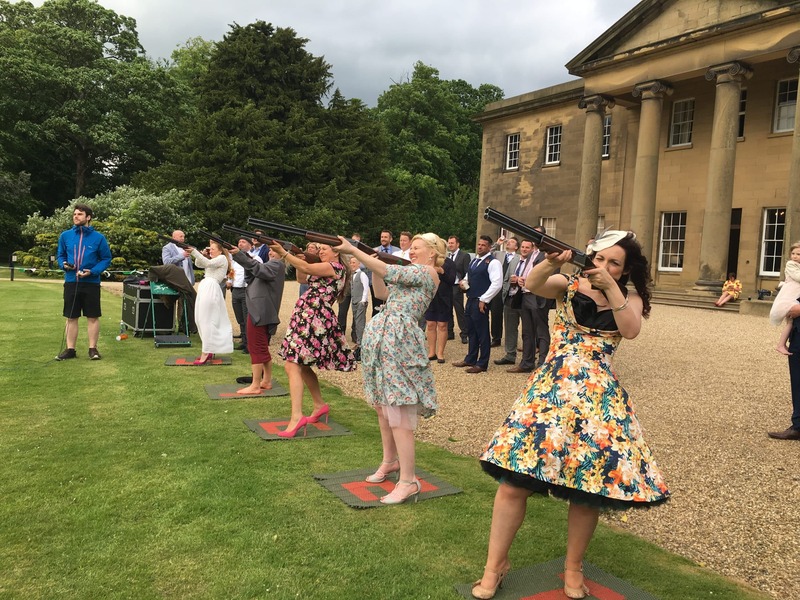 The ideal alternative to real Clay Pigeon Shooting. This outdoor system can be used day or night (with our floodlit version). 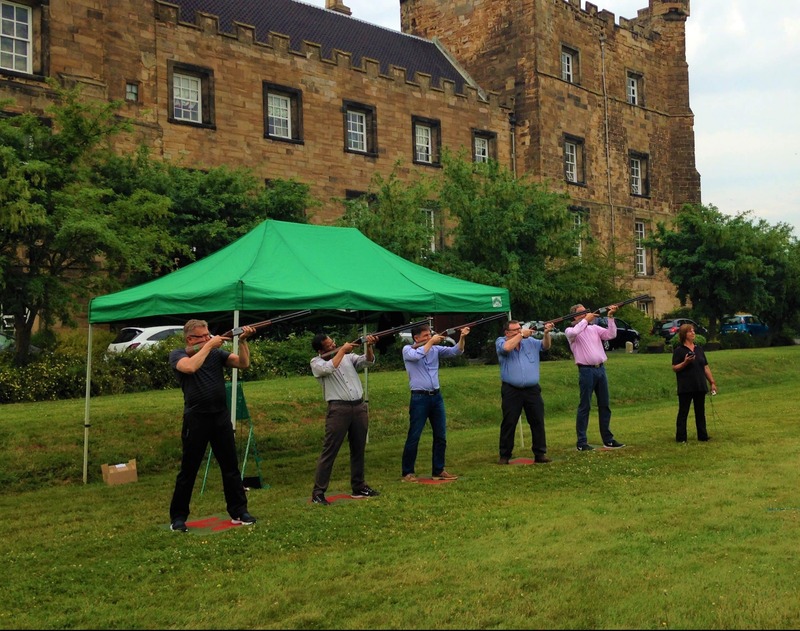 It simulates the traditional sport and is perfect for venues that are restricted by either size or environmental factors. 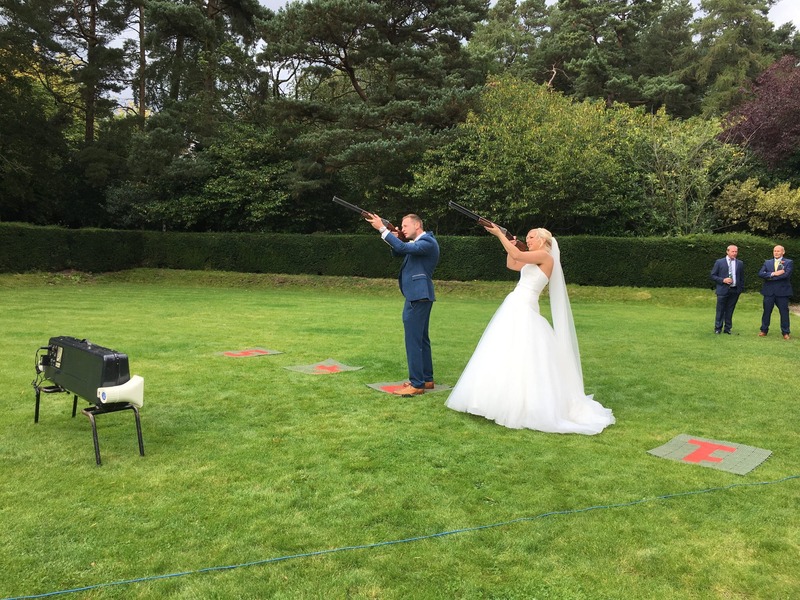 Using our Laser Sport system up to 5 people can shoot at the same targets launched at various speeds from a number of different trap positions. 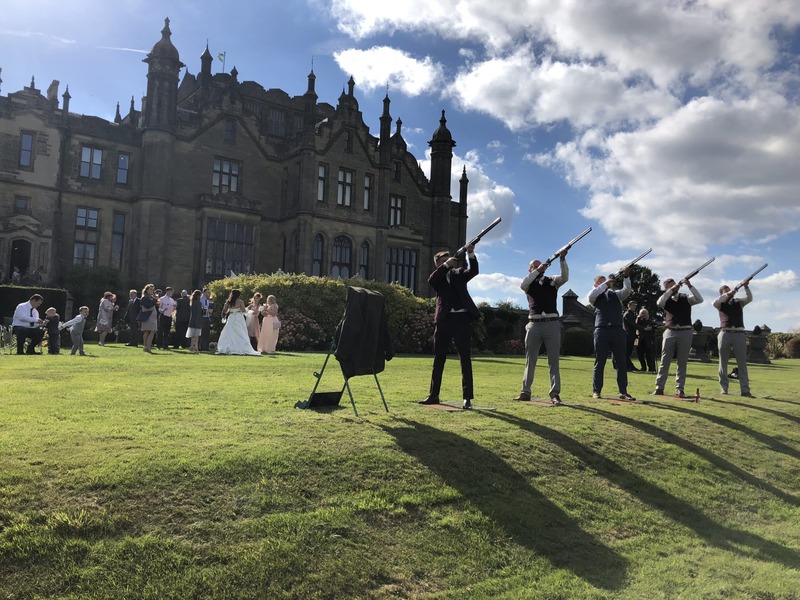 Laser Clay Pigeon Shooting activity is available nationwide and can be part of a Corporate Team Activity Day, Family Fun Day or popular now at Weddings before the Wedding Breakfast. 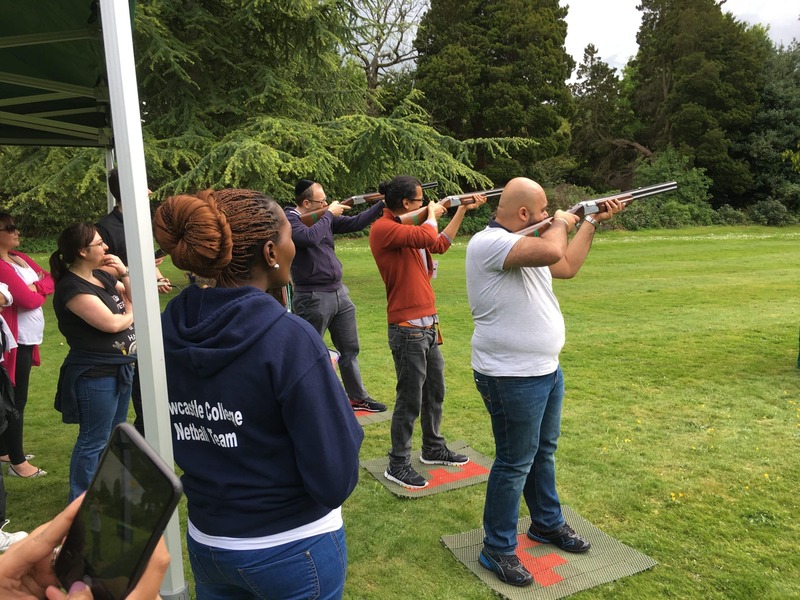 The system offers a range of different games to be played too, from Skillshoot where you must hit the target twice to score maximum points or Speedshoot where you must be the shooter to hit the clay first! 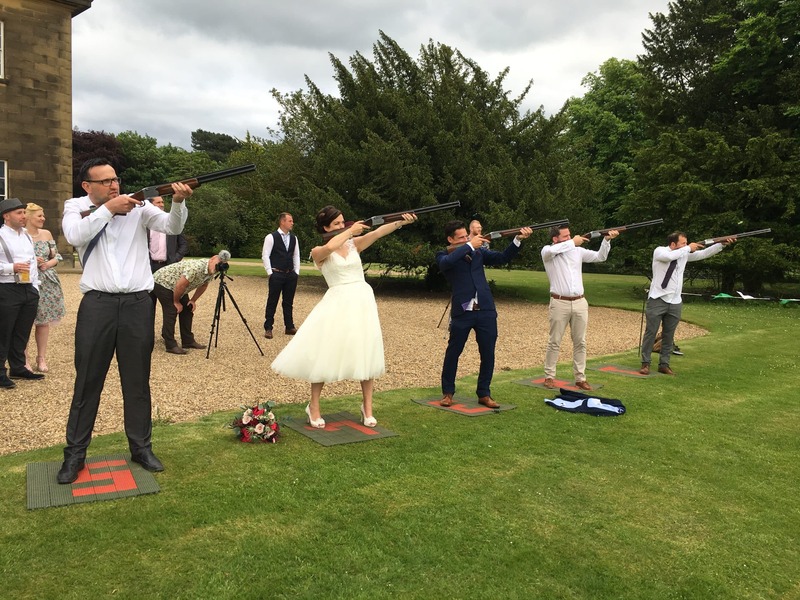 Clay Pigeon Shooting is the most popular shooting sport in many countries and the Laser Sport shooting system provides the opportunity for everyone to enjoy the thrill and excitement of shotgun shooting in perfect safety without any threat to the environment. Thousands of people play just for fun; others treat it as a serious and competitive sport. 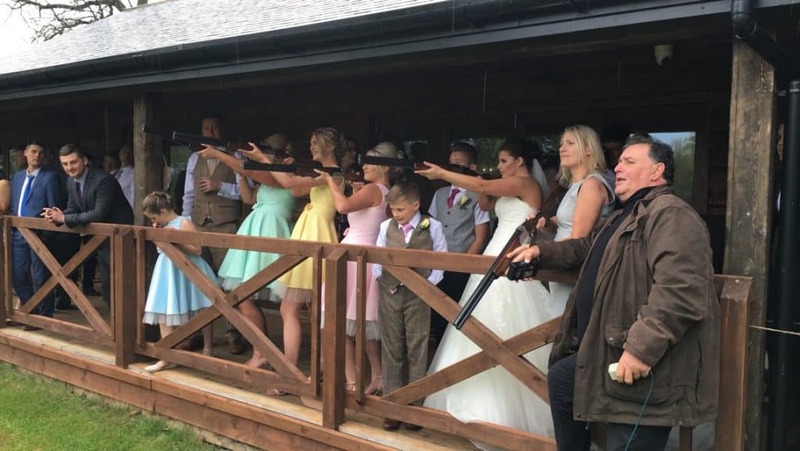 Laser clay shooting can be enjoyed by people of all ages. It can be played just for fun, or as a serious competition with people participating as individuals or as part of a team. 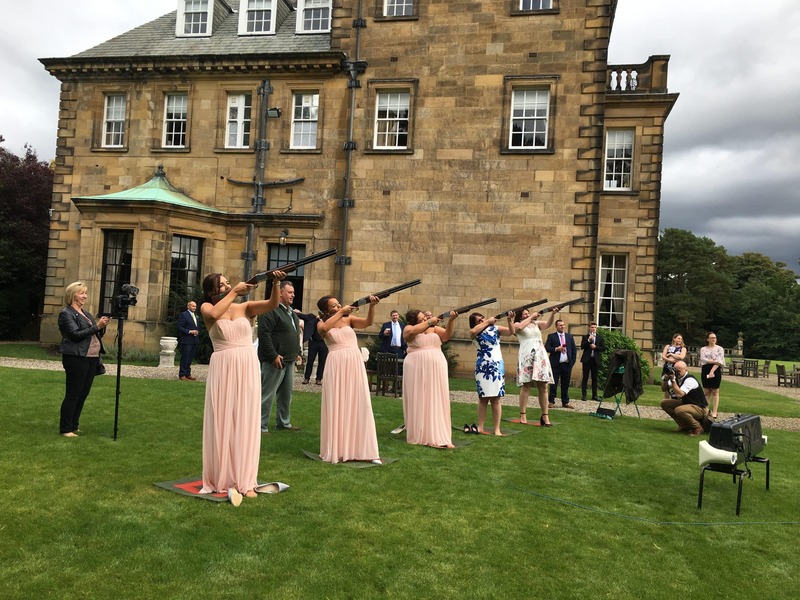 As with any sport, there are different levels and classes of Laser Clay Shooting enabling it to be played by any level of experience. 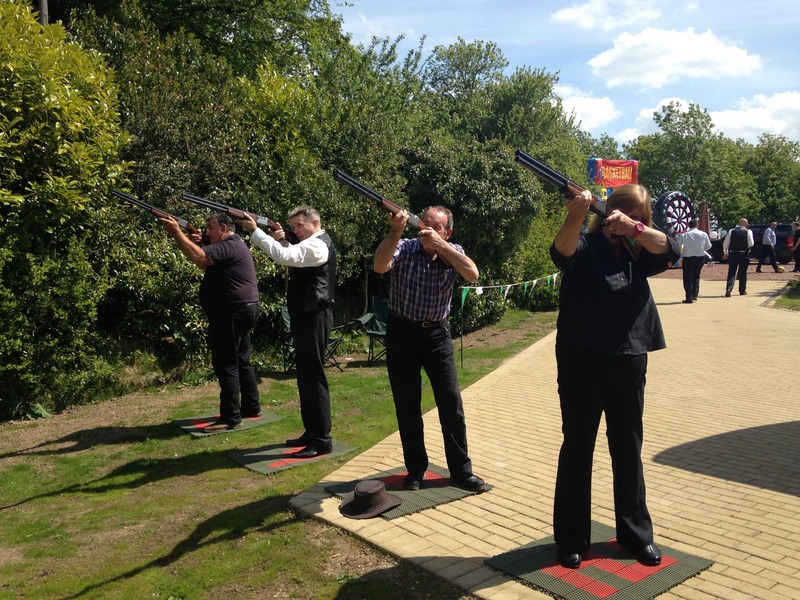 Five guns shoot light beams simultaneously at reflective clays and scores are displayed and decoded on the electronic scoreboard. You have a choice of several games, some easier, some harder than others. 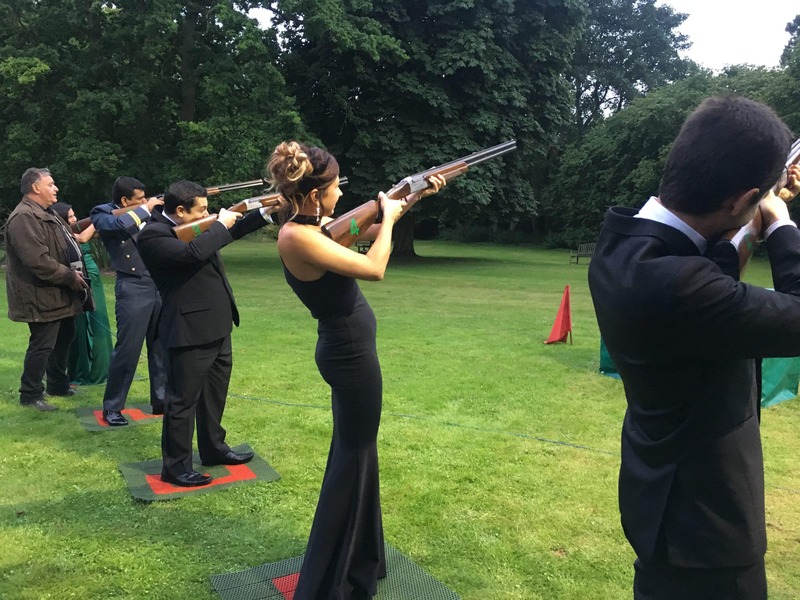 Whichever game you are playing you score points when you hit the target. At the end of the competition the player or team who has scored the most points is the winner. 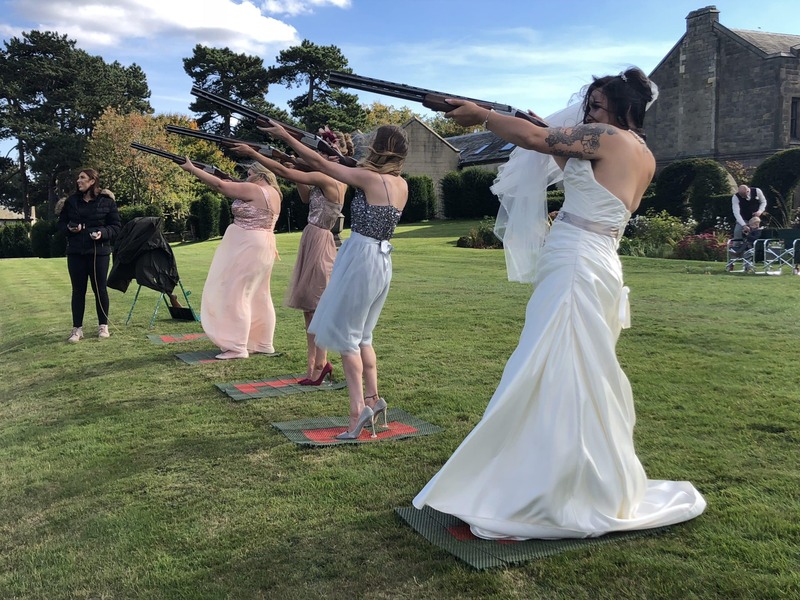 Our Laser Clay Pigeon Shooting hire is a brilliant source of entertainment at your next Family Fun Day, Country Show, Game Fair, Team Building Day, Floodlit Laser Clay Shoots and Corporate Event as it allows a high volume of people to participate throughout the day, as well as something that is extremely engaging, challenging and fun! 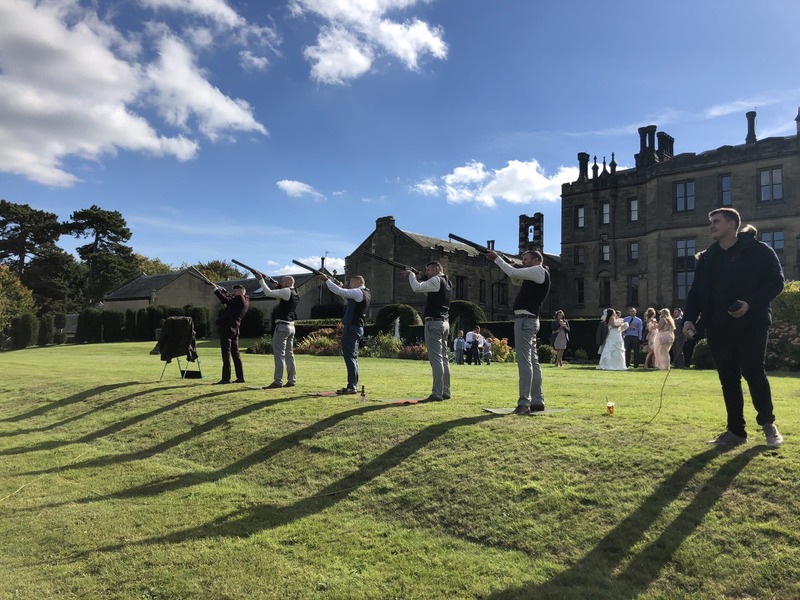 Laser Clay Pigeon Shooting is also great fun for the between period at Weddings, when you can shoot a few clays while sipping champagne on the lawns of Hotels or Stately Homes. It’s also great at Birthdays and other Private Parties.